European Competition Law is a great unknown for the majority of judges that apply Prívate Law in many Member States. 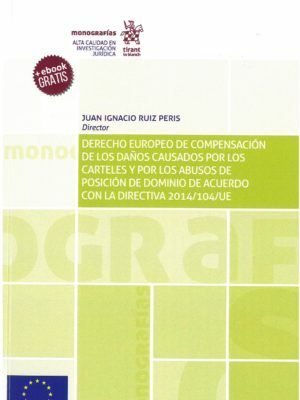 In comparison to which normally occurs in Prívate Law, implementation of the Defense of Competition rules, demands an evaluation of the effects on the market produced by a given conduct. This means a required previous delimitation of the relevant market in each case. Judges and court members in charge of commercial matters in different MS, by getting closer to this field of Competition Law, lace a relative Law in which prohibitions are to be applied taking into account the market power of the ones who fulfill the conduct, that is different of their experience on the application of the norm notwithstanding of the particular conditions of the addressee of the rule. Judges and court members in charge of the commercial issues in the different MS are the ones to fix the amount for damages that are to be given to consumers or competitors affected by the cartels or abuses of dominant positions. Therefore, it is extraordinary relevant to train them with specific formation based on the understanding of the peculiarities that are to be found at Competition Law. A training that will not only be theoretical. A training- we want to emphasize-that sets them in touch with members of the competition authorities that are more used to apply Competition Law. The program aims to satisfy these needs both from the perspective of the chosen topies and from the speakers’ perspective. Concerning the first one, the first question to arise is specifically the question of the relevant market. Explained by a jurist with a large experience on his shoulders, something that assures the understanding of the economic problems of the market delimitation from a classic jurist perspective. Among the speakers there are Commission Members as well as national and regional Competition authorities’ members to be found. 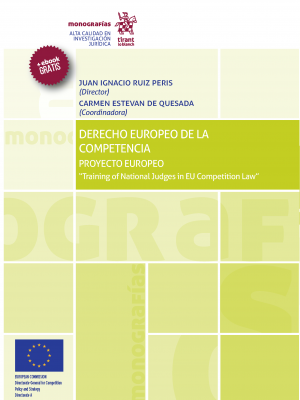 The group of researchers, directed by the signer of the present application has, as well, a large experience and trajectory on the field of Competition Law.